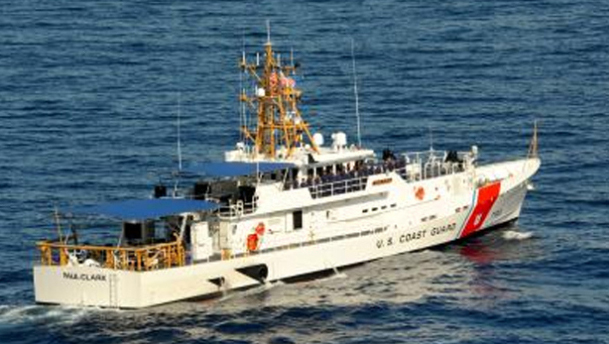 KINGSTON, Jamaica - The U.S. Coast Guard searched the waters between the Bahamas and South Florida on Sunday looking for a man reported missing from a cruise ship. Guard spokeswoman Sabrina Laberdesque said the cruise ship passenger who apparently went overboard early Sunday in waters about 27 miles east of Florida's Delray Beach. The man was reported missing from the ship Bahamas Celebration at about 2 a.m. as it was returning to its home port in Florida, she said. The vessel, owned by Fort Lauderdale-based Celebration Cruise Line, sailed from Grand Bahama island Saturday evening. The ship arrived at West Palm Beach around 9:30 a.m. Sunday, CBS Miami reported. Celebration Cruise Line spokesman Glenn Ryerson said he could not immediately release the identity of the missing man. Few details of the disappearance were released. The ship's crew turned the liner around to search for the man once he was reported missing. "We are very disappointed that something like this occurred," Ryerson said during a brief phone interview. About two years ago, a 47-year-old Canadian woman went missing off the Bahamas Celebration as it was returning to Florida. Coast Guard crews called off their search for the woman after covering an area of some 7,300 square miles. The Bahamas Celebration is a six-deck cruise ship that can hold 1,250 passengers in 502 cabins. It was introduced in 2009 and offers two-night cruises to the Bahamas archipelago off Florida's east coast.